You are here: Home › BDS ≠ Peace › Conflict on Campus › Israel / Palestine › Whither Anthropology: Dialogue or Polarization? Whither Anthropology: Dialogue or Polarization? 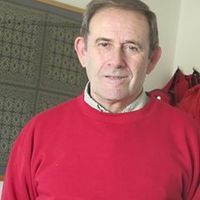 The following is by Harvey E. Goldberg, the Hebrew University emeritus professor of sociology and anthropology who compiled the response of Anthropologists for Dialogue on Israel and Palestine to the task force report submitted to the executive board of the American Anthropological Association. The Fate of Anthropology: Will the American Anthropological Association be a Source of Dialogue and Peace or Politicized Academics and Polarization? My first course in anthropology was in 1959, at Columbia College. I had just returned from a year in Israel during which the most interesting experience had been to meet Jews from a very different background than mine—those coming from Middle Eastern countries. My hope was that anthropology would provide a path to learning about their histories and lifeways. 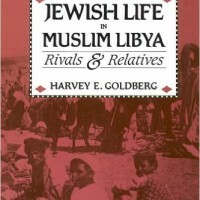 I was not disappointed: in the fall of 1963 I was already back in Israel, beginning dissertation fieldwork and focusing on a village of immigrants from rural Libya. At about the same time, without my (or others) realizing it, anthropology was on the road to a gradual but great transformation. Partially stimulated by the war in Viet Nam, the growing protest against racism, and the emergence of feminist consciousness, an image coalesced about the discipline of anthropology being a “handmaiden of colonialism.” ‘Power’ became a leitmotif of much of social analysis. In the first half of the 20th century the ethical imperative for anthropologists was to make sense of societies and cultures that were ignored or misunderstood; in the second half a norm emerged that if an anthropologist is not critiquing or unmasking (Western) structures of power, she or he is complicit with them. This was part of a broader political (and at times, intellectual) trend. For me, a formative moment— before I moved to Israel in 1972—was the televised UN debates after the 1967 war. Representatives of the Soviet Union kept returning to the refrain that Israel was doing to Palestinians what was done to them during World War II. The Boycott, Divestment and Sanctions (BDS) movement has been able to take advantage of this situation. One of its arms has taken aim at learned societies like the American Studies Association, and now, the American Anthropological Association (AAA). Such volunteer associations do not bear the same weighty responsibilities as universities, whose leaderships firmly resist the blatant introduction of politics into academic life. In this context, BDS-inspired academics have forged a series of black and white images in which all the blame is placed on “colonialist” Israel, and the only ones suffering are Palestinians. Some anthropologists, with an ethos of revealing the mechanisms behind repressive power, have proven especially vulnerable to the appeal of this depiction. I, along with other anthropologists who understood the complexities of Israel and Palestine, at first assumed that our colleagues—whose strength is the nuanced interpretation of situations in which many factors are at work—would not readily accept such oversimplified claims. We were rudely surprised in the spring of 2014 to learn that the program of the annual meeting—scheduled for December of that year—included a series of panels giving “intellectual” support to bringing a pro-boycott vote before AAA members. The panels did include serious scholars devoted to the Palestinian cause but along with them were individuals spouting pro-Palestinian agendas who denied any legitimacy to Israel at all. Beyond that, an initial discussion at the annual business meeting made clear how widely “boycott-Israel” sentiments had spread. It equally was obvious that many of those adopting this position were moved by the now-current slogans; their knowledge of the region, its history, and the many factors at work was minimal and also very un-anthropological. After this meeting, a group of concerned colleagues, from both Israel and the US, came together to form Anthropologists for Dialogue on Israel and Palestine (ADIP). We all were concerned with the region, and did not hesitate to recognize Israeli responsibility among the main factors leading to continuing distress and the non-emergence of a Palestinian state. But we also firmly believed that if anthropology were to make any contribution, it would be through seeking roads of dialogue, not boycott. We hoped that other anthropologists would accept this as the common-sense view of our discipline. There was one more window of expectation through which we hoped AAA pro-boycott enthusiasm might cool down. The Association had decided to establish a Task Force to examine the situation in “Israel/Palestine” and report back to the executive in October 2015 (a month before the next annual meeting). Its initial claim was that among the Association’s members were those with “expertise on Israel/Palestine.” Beyond that, a decision was taken that three of the Task Force members would carry out a rapid site visit in Israel and Palestine, which resulted in a 10-day trip in May 2015. Anthropologists, we assumed, would emphasize the complex interaction of factors at work rather than underwrite stark binary contrasts. This could reinforce our call for dialogue. At both levels we were disappointed. Already, before the May visit, the AAA shifted grounds as to the composition of the Task Force. Rather than selecting anthropologists with expertise in the area, it sought those with little connection to the region who were not on public record regarding the boycott issue. They were described as experts in “conflict and historical memory, issues of identity, and the use of anthropology / archeology in political efforts.” This was a strange step for a discipline that bases it academic claim for making a special contribution upon on-the-ground and long-term familiarity with the topics it studies. When the Task Force report was made public, our disappointment turned into dismay. The result is the Evaluation that now has been released, just as members of the AAA began voting on a pro-boycott resolution via electronic ballot. It took time to put together because for some of us, the initial reaction was to be “dumbstruck.” The way the report was put together was so far from what we have come to expect from serious anthropological work that it was hard to figure out where to begin. Many details from reading, interviews, and the rapid visit are presented, but it is all put together with a pre-determined goal of highlighting a simple picture: strong “colonialist” Israel vs. suffering Palestinians who have no agency, or any part in the ongoing suffering. In reacting to this critical Evaluation, the Executive Director of the AAA replied that the Task Force Report was given to external reviewers, “none of whom challenged its central claims.” But anthropologists and other readers should not be misled into thinking that ADIP ‘s disagreement with the Report is over the existence of inequality and suffering in Israel and Palestine. The starting point of ADIP is that the situation is harsh and tragic (not only for Palestinians). There was no need for a Task Force to “prove” this to Israeli anthropologists or other academics. The question is: what is it that anthropology might contribute to this ongoing stressful situation? From this point of view, the Report is a step backward in the unbalanced manner it portrays difficulties and inequity. It takes one politicized set of claims and dresses them up with a putative anthropological voice which is revealed as very one-sided when examined carefully. This can only contribute to further polarization. Instead of seeking to enlarge a corner in which there might be an exchange of perceptions or exploration of ideas, the Report further distances any chance of positive academic input. We believe such input is possible, but this document does not point the way.